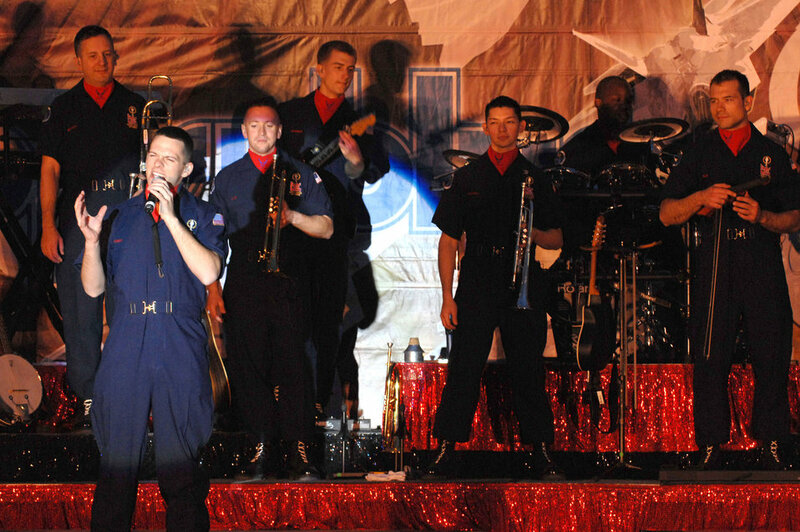 A Tops in Blue Airmen sings to Airmen and Soldiers April 26 at Kirkuk Air Base, Iraq. The 30-member group's goal is to enhance mission productivity for Air Force members around the world. Tops in Blue showcases music, dance and comedy -- all performed by active-duty Airmen who perform 90 minutes of non-stop live entertainment.